Riley A. 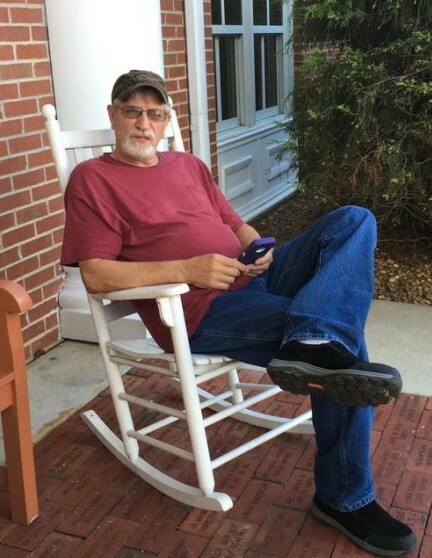 New, age 65 years, of Parkers Lake, Kentucky died Thursday April 11, 2019 at the Big South Fork Medical Center in Oneida, Tennessee. He was born in Parkers Lake, Kentucky on July 4, 1953 the son of Johnny and Myrtle (Martin) New. Riley had worked for Kingsford Charcoal, enjoyed attending different churches, and loved riding around. His parents; first wife, Minnie (Sumner) New; and sister, Ilane Wyatt precede him in death. Survivors include his wife, Marta (Hughes) New; son, Michael New (Donna) of Somerset; daughter, Amy New of Parkers Lake; and 4 grandchildren. Funeral services will be held Sunday, April 14, 2019 at 8pm at the McCreary County Funeral Home with Bro. Ben Jones officiating. The family will receive friends after 6pm Sunday at the funeral home. Burial will be in the Keith-Morrow Cemetery Monday, April 15, 2019 at 1pm.